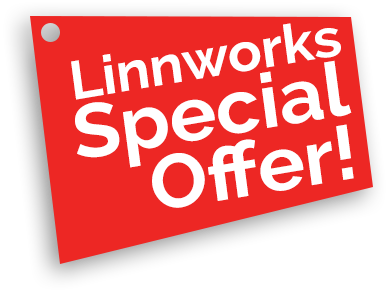 Increase your eBay sales with eSeller Solutions and Linnworks. Massive 25% discount on listing templates and implementation of the listing template into a new configurator. eBay are changing their rules about active content in shop and item designs later this year, are you ready for these changes? Are your eBay descriptions mobile compatible? If not both eBay and Google are going to penalize you. Why make these changes now? Active content is commonly used amongst eBay sellers to enhance their listings, and can feature anything from a scrollable image gallery of their other items, live chat and feedback widgets, search boxes or drop-down menus. The good news, however, is that eBay do have functionality to display images and their gallery works much better for mobile display and desktop search. They additionally have cross promotion tools, but if you do still require the use of widgets on your listings, they will need to use updated code, not active content. While you have until next year to sort this out, it is important to bear in mind that it is in your interest as a seller to change your templates as soon as possible, for the simple reason that it is already having a big effect on mobile listings. In order to make these changes we would strongly recommend using a system such as Linnworks, which can enable you to edit your listings in bulk. Alternatively, you will need to manually go into each of your listings to change the template, something that can be a huge time-constraint." All of our new shop and item template designs comply with the new eBay rules. We can also assist you to re-code your existing design, or even offer a low cost pre-designed listing template using your existing banners and colour scheme to get you moving in the right direction. This change doesn’t need to be stressful and costly and we are committed to doing whatever we can to minimise the impact for you. Contact us today for your free consultation and any advice on the new eBay changes or anything ecommerce. (Magento, BigCommerce, Drupal, WordPress), Facebook, Twitter and Youtube.